Always one of the more enjoyable spectator events in the rowing Calendar, the Irish Indoor Rowing Championships (IIRC) failed to disappoint once more, this year. 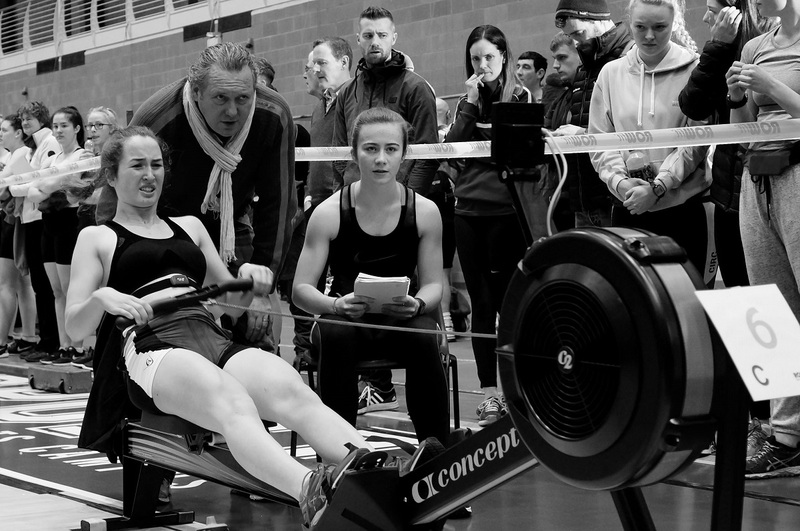 Exciting races and dramatic post-race scenes entranced the spectators, clustered around the taped-off competition area and filling the tiered seating of the UL Sports Arena, on Saturday the 20th of January. 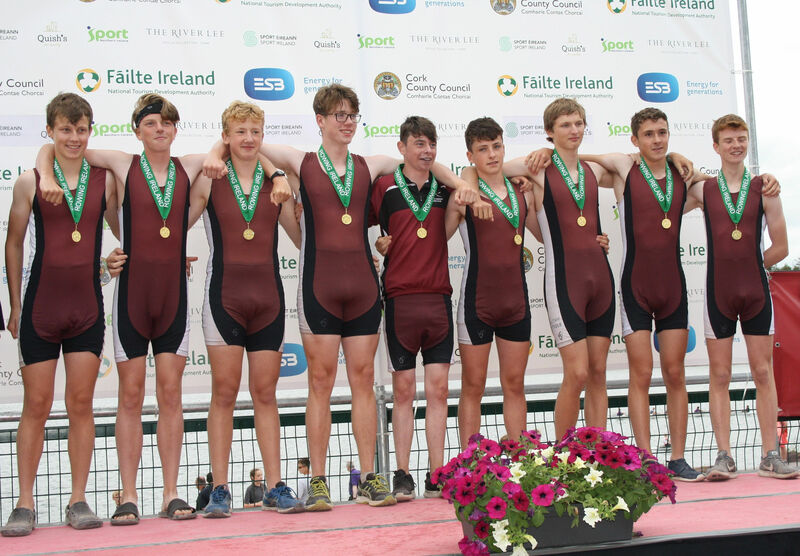 Jes rowers featured right across the spectrum of times posted in these all-Ireland races and achieved 14 top-10 finishes. Elise Carney - Frazier won Bronze in the Womens' Junior 16 500m sprint and many other impressive times were achieved, some just missing out on a place on the podium. 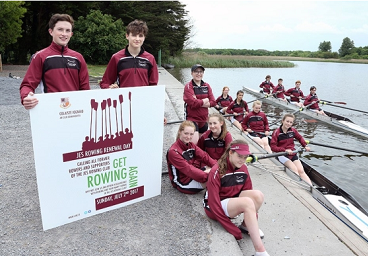 Although Elise's was the only medal brought home by the Jes, on the day, our rowers clearly demonstrated why CIRC is a much-respected Irish Junior rowing club. 34 Under-14 girls competed to cover the greatest distance in 4 minutes. Rachel Dempsey covered only 38 metres less than the winner, who clocked up 1016 metres, earning her 9th place in this closely contested race. In the Under 14 boys' 4-minute race, Tom Maye was just 45 metres short of the winning distance of 1,139 metres, coming in 7th place with an impressive 1,094 metres on the clock. Felix O'Neill logged a distance of only 40 metres less than Tom's, securing him 15th place within the pool of 56 entrants. The winning time for the closely-fought Under 15's womens 1000m race was 3 mins 46.8 seconds. Kate Hume came home 10.6 seconds later, earning her 4th place. Kate's 3m 57.4s time was only 8.4 seconds away from a bronze medal. Emma Ryder finished 6.7 seconds later (4m 4.1s), coming 9th in the pool of 15 competitors. The Men's Junior 15 1000m race saw Eamonn Gallagher finish in a time of 3mins, 28.3secs - 8.4 seconds behind the winner and securing him 6th place in the country. Ultan O'Toole also had a strong race, finishing only 1.2 seconds behind Eamonn and in 8th place. 3.5 seconds later, Mark Ward secured 13th place among the 47 competitors. Elise Carney - Frazier came in 15th in this blisteringly fast race. Her time of 7m, 57.5s was 36 seconds off the gold medal pace and 20.8 seconds away from the bronze medal time. 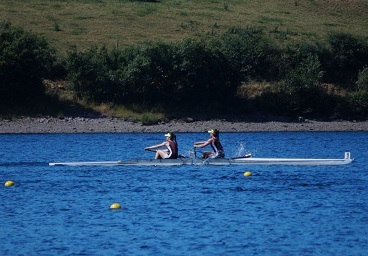 Also in this race were two junior 16s who had never raced over 2 kilometers before: Amy O'Gorman, and Lanah Acton were 39th and 44th, respectively, out of the 76 entrants - a considerable achievement for their fist time out, as experience and race strategy are all-important in races of this distance. Their respective times were 8m 17.6s, and 8m 22.2s. 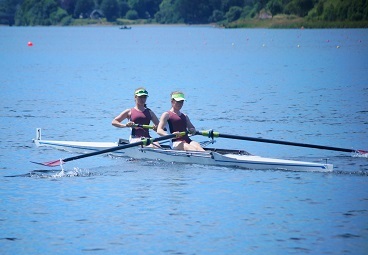 There were 90 competitors in the mens junior 16 2k race, which was won in 6 mins 47.3 secs. Aaron DeBurca came home ahead of 85 of them - coming in less than 10 seconds behind the winner to earn 5th place in a time of 6m, 57.2s. 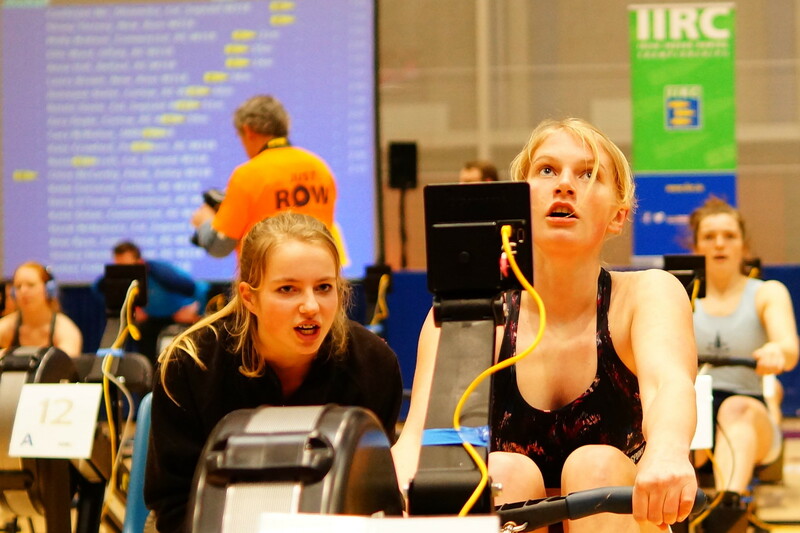 Caoileann Nic Dhonncha recorded a new personal best time in this race, shaving 4.9 seconds off her winning time in the provinces indoor rowing championship, 2 months ago. This brought her across the line 9.5 seconds behind the winner, and earned her a well-deserved 8th place among the 79 entrants. Always a hotly contested and popular category, the mens junior race over 2k attracted 118 competitors. 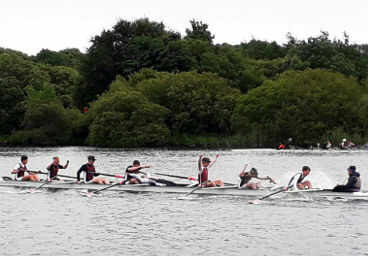 A new national record was set by Alex Byrne from Shandon Boat Club, who covered the distance in 6 minutes and 15 seconds flat. Mark Ryder (who won the provinces indoor rowing championships in a time of 6m 29.8s) was set to improve significantly on his previous time but was unfortunately off-colour on the day of the race. Despite not being in his full health, Mark still entered the race but finished 8.4sec behind his time, 2 months ago. His time of 6m 38.2s ranked him 19th in the field on the day. Tom Maye was a strong competitor in this sprint, beating 59 others to 5th place with his time of 1m, 41.6s. Tom was only 5.7 seconds off the gold medal time and 1.3 seconds away from bronze. Eamonn Gallagher completed this sprint in 1m, 34.8s - exactly 5 seconds behind the race winner and only 3 seconds off the pace for the bronze medal. Eamonn ranked 7th within the 55 entrants. Aaron DeBurca finished ahead of 25 others to get 10th place in this sprint. His time of 1m, 35.6s was 5.1 seconds off the gold medal time and 3.7 seconds behind bronze. Congratulations to Elise Carney - Frazier, who won Bronze in this event in a time of 1m, 46.1s - only 2.5 seconds behind the winner. She was followed by Amy O'Gormon, 4.1 seconds later, who ranked 10th among the 46 competitors. Caoileann Nic Dhonncha secured 8th place, fending off 24 others by clocking a time of 1m 42.6s, which was only 1.6 seconds away from securing a place on the podium.